There are many issues that digital marketers frequently discuss when it comes to SEO, but very seldom would we hear people talking about how Google penalizes websites for indiscreet use of the same keywords in different pages. This penalizable act is commonly referred to as content cannibalization or keyword cannibalization, and it has suddenly evolved into a challenge for content marketers and digital experts. What is content cannibalization anyway? 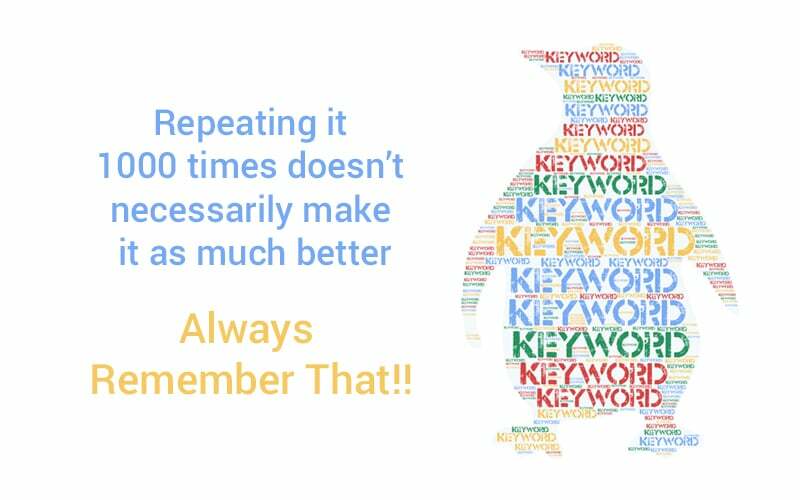 If you are an SEO expert or a digital marketer, it is very unlikely that you have not heard about Penguin and Panda updates to Google's search algorithm. But it is not unlikely that you have not heard about the penalties for content cannibalization. Well, this penalty, in completely unthought-of ways, can prove detrimental to your SEO and content strategy. You would be amazed to know that only a few advanced level SEO companies can guide you through this Google penalty. how does it affect your website content and how can you combat it effectively? This is a big statement and it comes with massive consequences because the majority of websites are hit with this with many webmasters unaware. So what is this Google penalty and how does it affect websites? Content cannibalization is defined as the "derogatory strategy of targeting the same keyword across several web pages"
When the same keyword is used across a number of pages of a single website, Google’s spiders automatically get directed to a page with low-grade quality which in turn results in the low ranking of all the pages on the website. Thus by targeting the same keyword across different pages, the website, instead of getting visibility, is pushed further beyond. The same keyword used in a lot of pages of your website can actually make your site lose credibility and reputation. For instance, when you have a travel website and several of your pages and blogs are targeting the same destination keyword, it becomes challenging for the search engine spider to rank the best page as per relevance and this would force the spider to consider another page from a different website. 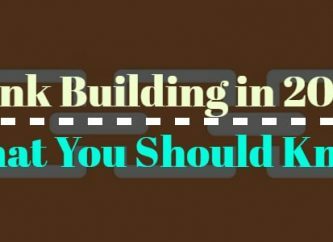 This will prevent you from ranking your best web page at the top. What do you lose through content cannibalization? Do you lose a fortune through this penalty or is the loss pretty manageable and insignificant? 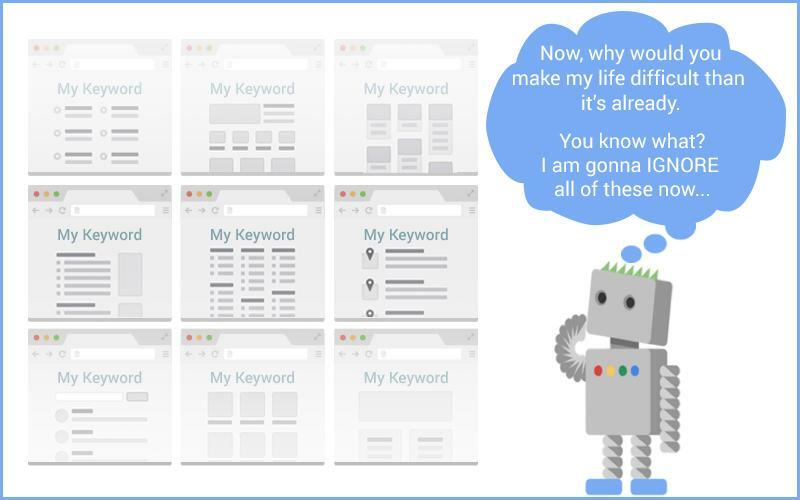 To be honest, your keywords targeting the search ranks may not lead to an outright loss of millions but over time it can eat away the whole SEO efforts and outcomes you generated so far. Anchor Text loses its value - with several pages targeting the same keyword, the value of an anchor text is lost. Split External Links - different sites may link to a single page on a topic besides linking another page to your website only. This actually results in splitting your valuable external links across different pages. Decreasing Quality- How many times can you write about the same topic? Well, after writing more than 3 or 4 pages on the same topic, the content must suffer from uniqueness. Business Conversion - Thanks to the same content pages, less qualitative and lower converting pages will enjoy more traffic. This will have a detrimental impact to your business conversion. SEO experts have devised some effective and time-tested tips to combat content cannibalization. Let us have a look at them. Internal linking is a widely appreciated way to increase the popularity score of a website. While this can be hugely effective for building the credibility of a website, the linking strategy can also pull down search ranks. Suppose you have a website for selling fashion wear online. You have used the target keyword on the homepage as well as in blogs. Now as most internal links are targeted towards the homepage while there is another popular blog with the same keyword, the search engine can get confused which to choose between the two and instead can rank a page from a different website. Let us tell you one thing. Instead of judging the merit of your content, Google spider simply evaluated the number of links targeting your content and ranks them accordingly . So, in case your home page has no such relevant content compared to your blog on the same topic, the search engine cannot judge the relevance. How to solve this problem? First of all, review the internal link structure entirely and let your links target the most relevant contents. With several contents with the same topic and keyword, you need to prioritize the contents and position them as per relevance. 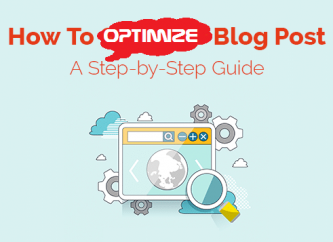 The effective way is to do it to target variable keywords from one page to another. While targeting one page with a keyword like "designer shoes," you can use other related keywords like "designer shoe discount" in another page. Such variable keywords are great to maintain credentials while almost doing the same promotion. Let us have a look at how you can do this. While all these pages are interlinked and have the relevant keywords, they are not using exactly the same keywords. Naturally, the search engine spider will consider each one separately and rank them. Each page as per its merit of contents and links is crawled by search engine spiders. Keywords containing overused anchor texts look spammy and cause sufficient harm to your SEO strategy. Such usage often leads to the wrong page and hence is considered spam by Google. If you use action words as anchor text, the visitor, after being guided to the respective page, should be capable of performing the action. For instance, if the anchor says “buy designer furniture,” as soon as the visitors clicks on that, they should be redirected to the page that lets them buy the products. If the visitors are guided to a transitional page before the actionable one, your web page loses its precision, which may reflect in your page ranking. Precision in link scheme and page navigation is a big consideration for search ranking. To ensure this precision and avoid overuse of anchor texts, you should always use natural keywords that are specific, useful, actionable, and targeted for the right page. What do all these imply? Well, it gives Google the right direction to rank the most relevant web page in your website. The difference in URLs does not solve all the problems. Several URLs carrying a similar or same term canhelp optimize the number of pages for search ranks in relation to the keyword term. This happens particularly when several product pages are created for seasonal collections. Let us see the problem in detail. For example, your primary target page has the title containing "designer shoes," now to target summertime audience you created another page entitled "summer shoes." If both the pages are optimized for search ranks you may not experience ranks at all. Instead of coming with two pages with the same SEO focus, underplay the less relevant one. To allow discoverability of your main target pages, optimize the focused page. What is canonicalization in a web page? It is actually a header tag that proclaims that the page used the similar content. This tagging is used to tell users that too similar or nearly duplicate content has been purposefully used in the page. While it is a good way to avoid the risks involved with duplicate contents, too much canonicalization may lead Google to lead to consider your page messy and avoid it completely. What can you do to avoid both extreme poles? Well, you can use the proper convention of canonicalization. Look at the following tips. When switching the content to HTTPS, do not forget to canonicalize. There are too many business websites that suffer from this problem. If you have several variants of one page, it can significantly pull down your search ranks. For example, having different pages on closely related topics can confuse search engine spiders over relevance. Instead of using separate pages for "designer shoes" in different seasons, you can come with a single page entitled "designer shoes for all seasons." By tying together several pages into one, you boost up discoverability and search ranks. Always try to merge similar pages into one. Keyword cannibalization can be a little confusing at times. All you need to keep in mind is that the content on your site should be crafted in such a way that it makes sense to the person reading it, you must have different pages for a different commercial purpose for a smooth lead generation, create informational and entertaining content that attracts users. Keval Padia is a Founder & CEO of Nimblechapps – a fast-growing mobile game development and web development services provider. The current innovation and updates of the field lures him to express his views and thoughts on certain topics. 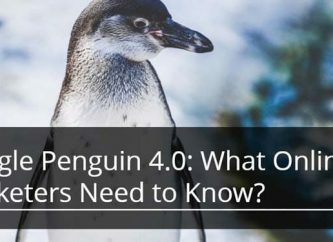 Google Penguin 4.0: What Online Marketers Need to Know?